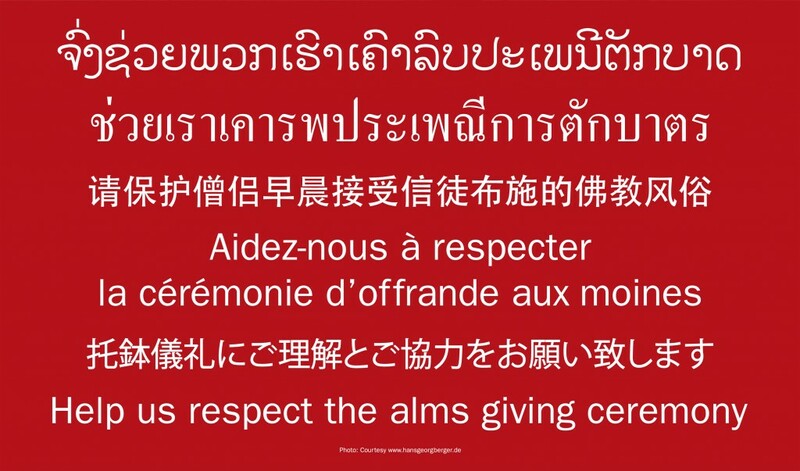 The Foundation is supporting an on-going awareness campaign to create a mindfulness among visitors to Luang Prabang of the importance of respect for local traditions, in particular the Tak Bat ceremony. 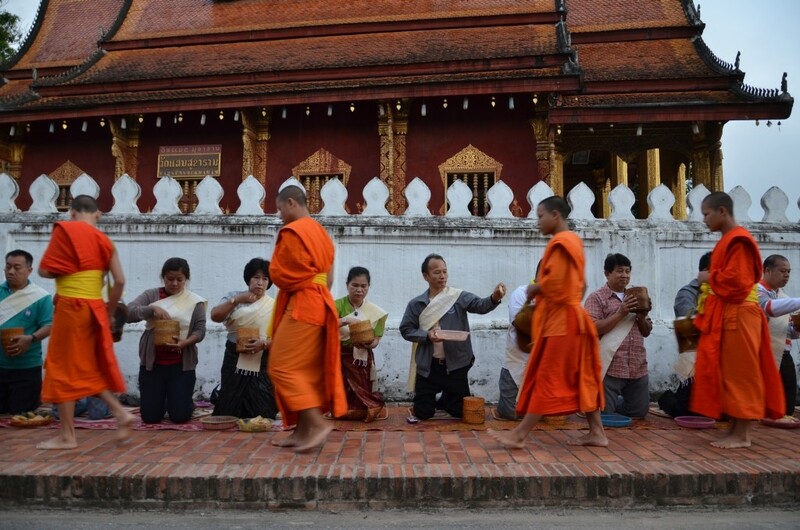 The daily Tak Bat or morning alms round, is one of the most practised and visible ceremonies of Buddhism in Luang Prabang. During the daily ceremony, thousands of monks and novices walk through the streets in the early morning accepting offerings of food from villagers and believers; the ritual has cemented the symbiotic relationship between the monks and the local community. It has become one of the most vivid images of Laos. The morning ritual is completed in silence both by the alms givers and the monks. The monks walk in meditation and the alms givers reciprocate with respect by not disturbing the monk’s meditative peace. However the popularity among tourists to capture this event has begun to turn this serene tradition into an endangered one. It is starting to be viewed as a cultural show to be enjoyed where camera flashes, physical obstruction, noise, vehicle impediment and inappropriate dress and behaviour all cause disturbances to what is a formal ceremony. Originally the local community, in an effort to minimise the disruption to the ceremony, started distributing a multilingual poster and pamphlet outlining the importance of the occasion and the behaviour to be observed. The Buddhist Heritage Project, with the support of Department of Information, Culture & Tourism of the Luang Prabang province, decided to refresh and update both the poster and leaflet retaining the multilingual format. A new awareness campaign was launched to remind visitors to the local area that the Tak Bat ceremony is an important relationship between the monasteries and the local lay people and its dignity should be observed. The Foundation agreed to a support this awareness campaign with two grants to print and disseminate 60,000 copies of the educational material to hotels, tourist information bureaus, currency exchanges and at the airport to catch arriving visitors. For more information please click here to go to the Buddhist Heritage Project website.